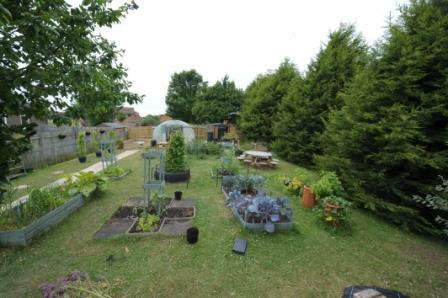 It seems such a long time ago since the pupils started to plan and assemble the cropping area that has become known as the Rainbow Garden, soon developing into a place of activity and propagation, all around the school. The area has expanded and now boasts several different types of garden vegetable production, fruit production, rockery, a fully productive Polytunnel and many others. The biggest day on our calendar has been Harvest Festival Assembly. Produce from the garden this year included apples, raspberries, cabbages, carrots, runner beans, chillies, tomatoes, limes, French beans, potatoes and herbs. We hope to improve the quality of life and to develop skills for life, encouraging independence and hopefully generalisation into other areas of life and promote awareness of Health and Safety issues within the garden, home and school environment.